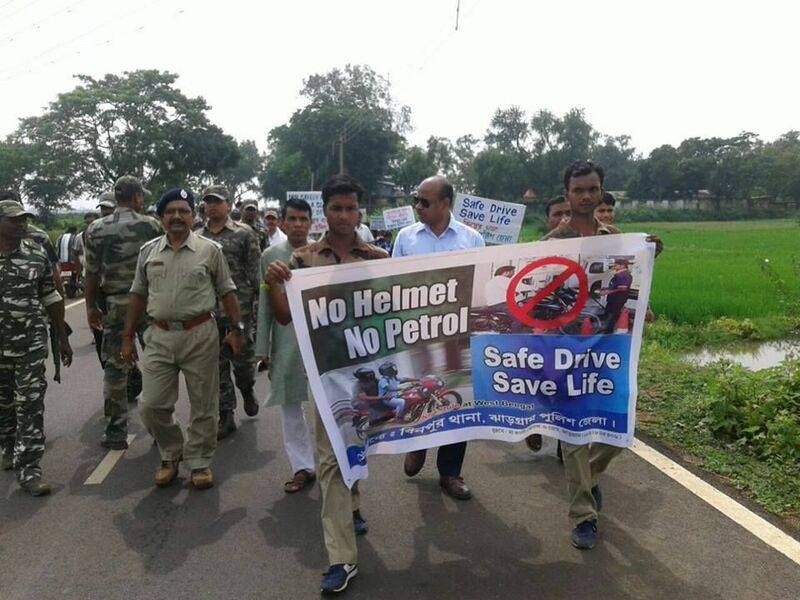 The Jhargram District Traffic Police is dedicated to serve the common people. The aims of the traffic units are to ensure the smooth flow of traffic, the safety of the public and to reduce road traffic accidents. 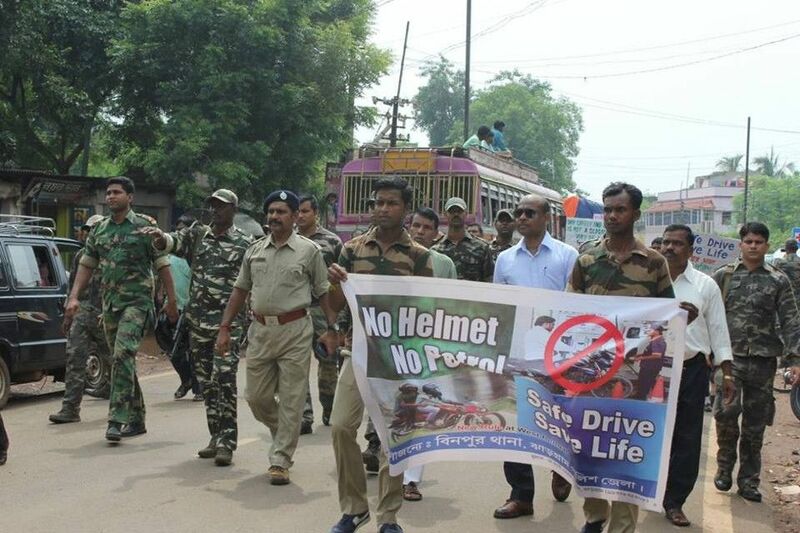 Jhargram District Traffic Police has been taking several programmes for intensive publicity of “Safe Drive Save Life” campaign and organizing “Road Safety Week” with colourful programmes in order to grow the awareness amongst the public. 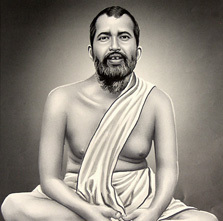 This district has several important roads like National Highway, which connect many State Highways and other important roads. 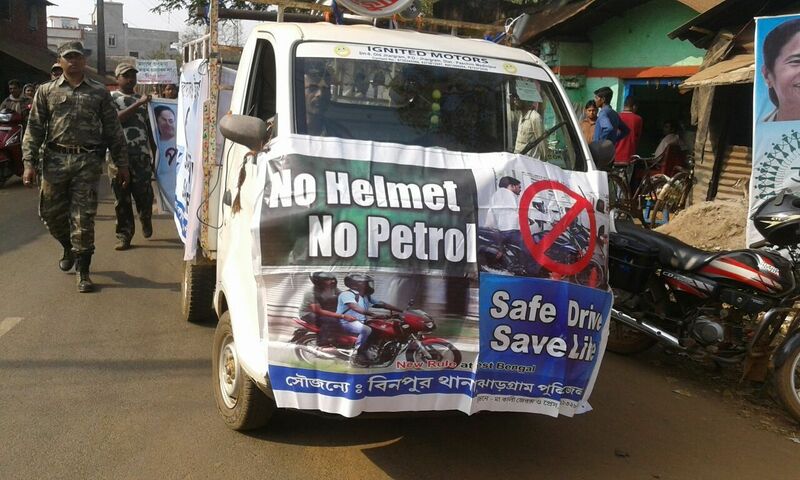 This is the priority of our district traffic police to ensure safe travelling on these roads. 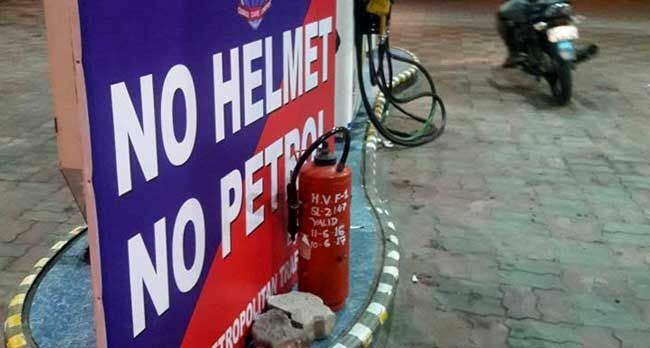 To grow the awareness amongst the people about the traffic rules like no drive without helmet, no rough drive, no drive in drunken condition, no use of mobile while driving and maintaining the traffic signal etc. 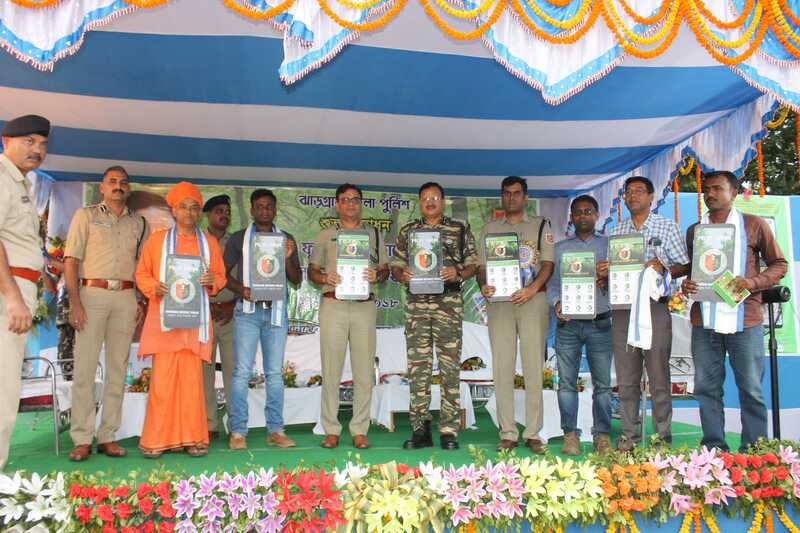 (i)	Distribution of Leaflets in Bengali, Hindi & Oriya Inter-State border and on NHs. 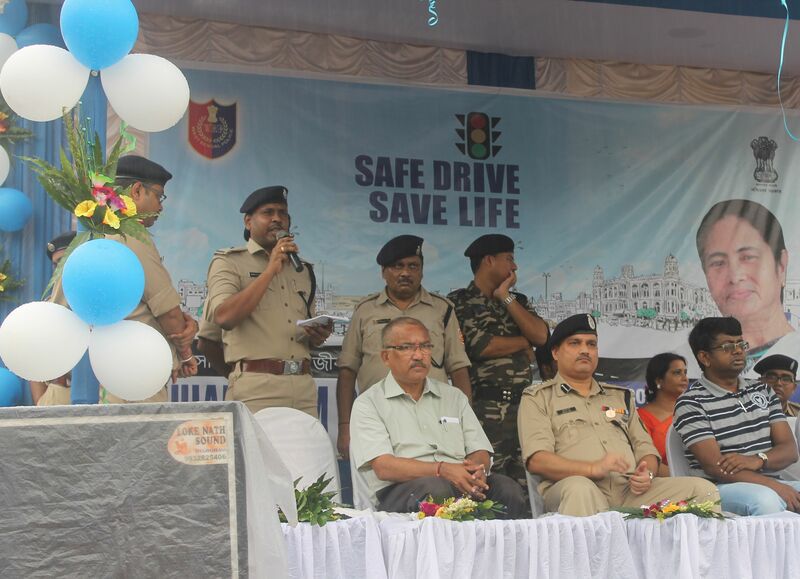 (ii)	Visit of Senior Officers to different of Schools & Educational Institution to spread awareness about Safe Drive Save Life programme. 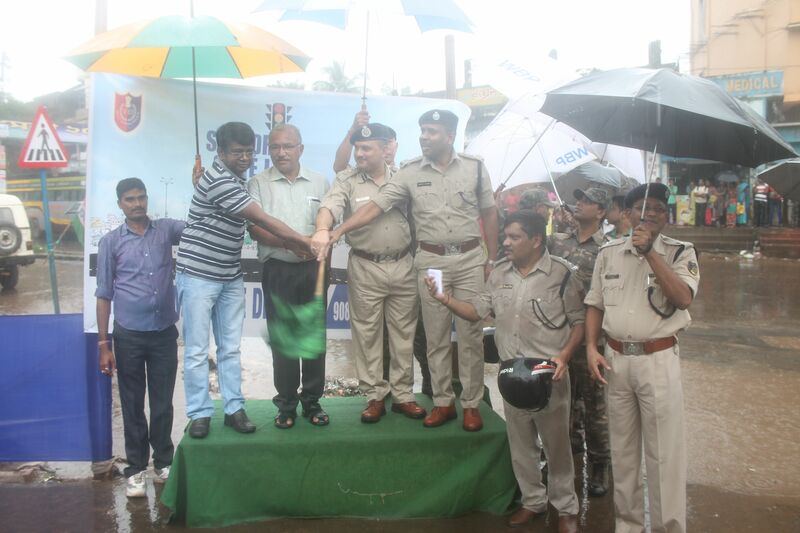 (iii)	Playing traffic theme songs at major traffic junctions and distribution of free helmets. (iv)	Enforcement of traffic rules - Checking by breath analyzers for drunken driving, driving without helmets, highway patrol to checks speed drivings etc. 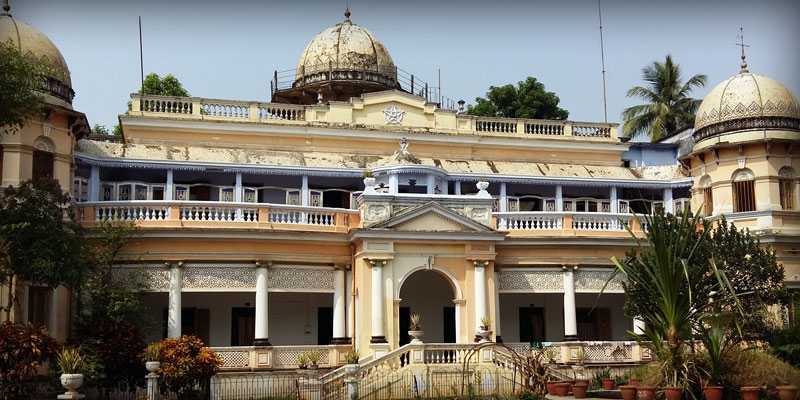 (v)	Planning for modernization of traffic. (vi)	District order for all police personnel to wear helmets. (vii)	Short film on traffic safety run at major traffic junctions. 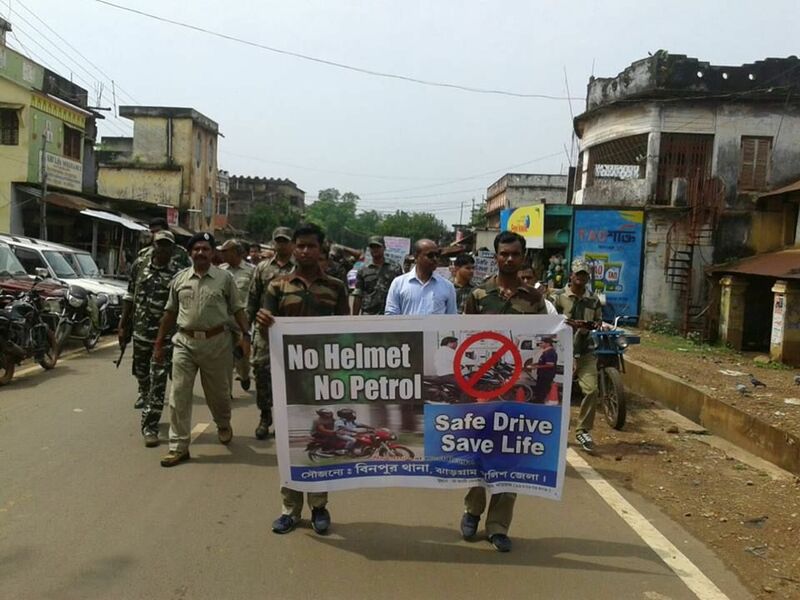 (viii)	100s of hoarding & posters of Safe Drive Save Life being displayed at conspicuous locations all along NH & internally inside towns.